This morning I planted the last of the vegetable seedlings into the school beds. I’d been raising them in root trainers which has produced some reasonably strong root systems, so hopefully they’ll do well. So far I like using the root trainers. The sweet pea, Lathyrus odoratus, will go in next to the edible peas and will add some lovely colour and fragrance to the beds. Plus they’ll help to attract pollinators. I had intended to grow more beans in this spot that would have intertwined with the Lathyrus but I’ve decided to grow the rest of the batch in a pot at home instead so that I can compare how they turn out in each position. 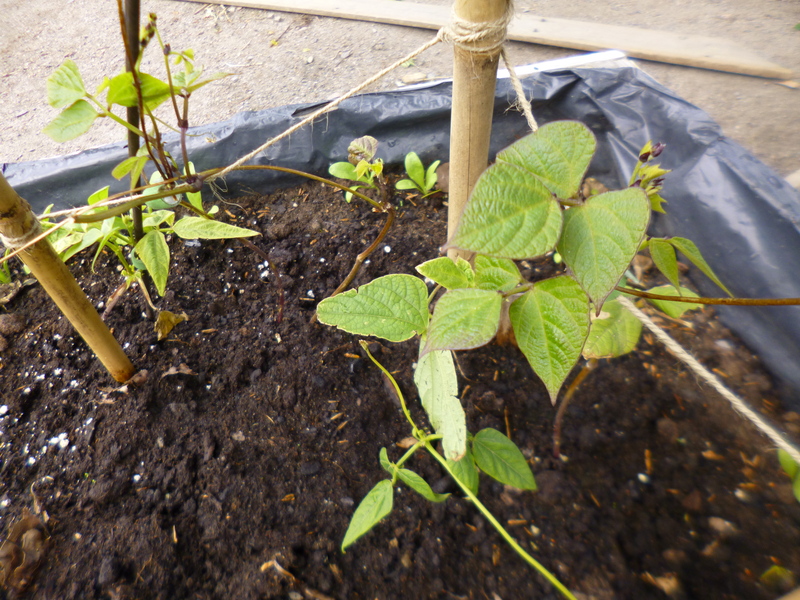 My pots sit against a south-west facing wall, which I think has it’s own little warm sheltered micro climate (though it wasn’t immune to the fierce winds we had lately) so it’ll be interesting to see how the beans fair there compared to these on this site. Here are the school ones with signs of new leaf growth so they’re still holding on…just! The end of the relentless wind and arrival of warmer weather has no doubt helped. 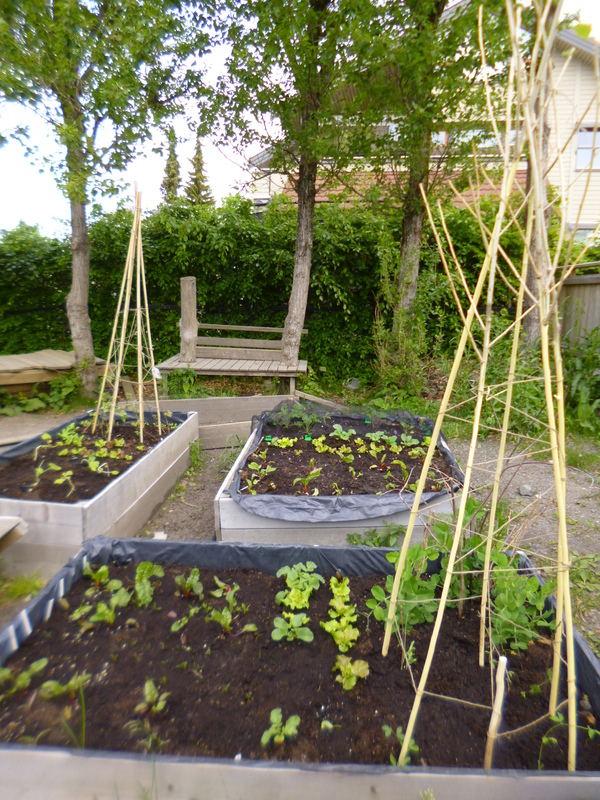 The edible peas are thriving and have not been adversely affected by any lashing rain or cooler temperatures recently. Chard, carrot and lettuce all growing well. A picture of the how the school kitchen garden looks overall today. Categories: Food growing, Raised beds | Tags: chard, kale, lathyrus odoratus, root trainers | Permalink.